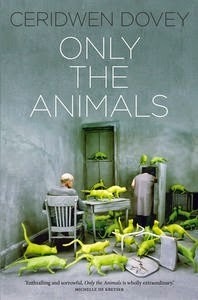 Insightful and poignant, this is a collection of short stories, narrated by ten different animal souls. Each story is both innovative and memorable, with animals showing humans at their best and worst in well known recognisable situations of human conflict. Starting with the story of an Afghan camel in the Australian gold rush, this is followed by a cat on the Western front, a Russian tortoise who ends up in a space during the Cold war and a humorous tale of a mussel at Pearl Harbour - just to name a few. The story of the dolphin betrayed by humans in Iraq particularly stood out for me. Each story pays homage to a different author, often quoting them or using literary allusions to their work. If interested, you can find a complete list of resources on the authors website. A fascinating, imaginative and original concept, this book is well worth reading. Jo Breen a Goorie, orphaned at 10 and 'grown up'' by her Auntie, a wise woman, finds animals especially horses, are easier to love than people. Her daughter Ellen is the one person in her life she would do anything to protect. Having always struggled for a living, she finally realises her dream, when her divorce settlement enables her to buy a small acreage and she sets about restoring it to it's native beauty. Life gets more complicated when a new man appears in town who is there to research for his Native Title claim over the valley. Mutually attracted, Jo and Twoboy link up and Jo struggles to remain outside his passion for his claim, whilst she is being drawn into the ancient life of the land which she cares for. Friction with her adjoining land owner, is ongoing from the minute Ellen was caught riding his thoroughbreds in their first week, and events and chance meetings at odd places only confirm Jo's distrust of him. 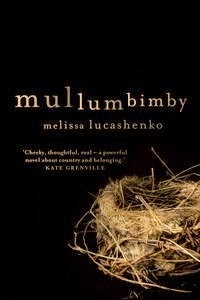 This novel is about family, obligations, and the desire for a place that is 'home'. The description of landscape and the life within it, is invigorating and brings one into the setting with Jo as she struggles with the demands of a teenage daughter, work, land restoration, ancient ancestors, and her driven lover. 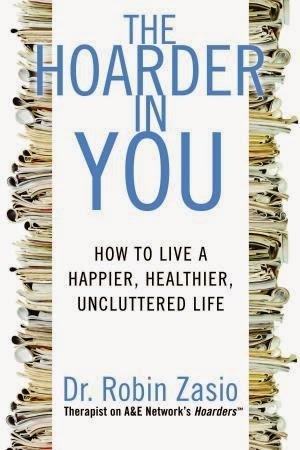 The hoarder in you: How to live a happier, healthier, uncluttered life by Dr Robin Zasio. Why do people hoard? I wanted to know why, so I found this book interesting. "because I'm afraid if I throw it out, I'll need it in the future"
"because if would be wasteful to get rid of something that could still be used"
"this item was given to me by someone I love, and I don't feel right about throwing it out"
The "growing" collection and the excessive accumulation of objects begin to take over your room...or may affect your daily life activities. Does this sound familiar? "The Hoarder In You/Dr Robin Zasio" offers insights and solutions to your inner hoarder and is helpful in finding out if you have hoarding tendencies and why this is so. This book unveils the secret history of civilisation's most unsavoury and unsung hero, and discovers how our urine footprint is just as indelible as our carbon one. All the Fullers, Tuckers and Walkers in the phonebook owe their names to it; in 1969 four bags of it were left on the surface of the moon; alchemists sought gold in it; in the trenches of Ypres soldiers used it as a gas mask; and some people drink it. Throughout history, bought and sold, traded and transported, even carried to work in jugs, urine has made bread rise, beer foam, given us gunpowder and stained glass, prepared wool and helped dye our clothes. No wonder it gets everywhere. A detailed and humorous collection, in alphabetical order, of all there is to know about wee. I am not normally one to read a young adult book, however, I found this one very hard to put down. The story line is based on an alternate world where humans are divided by factions based on their dispositions. Five factions rule the world which is made up of Abnegation (the selfless), Amity (the peaceful), Candor (the honest), Dauntless (the brave) and Erudite (the intellectual). On the day of Beatrice’s sixteenth birthday she must decide which faction she will devote the rest of her life to (alongside all the other 16 year olds). However, Beatrice is not a perfect fit for any of these factions and her secret life begins. 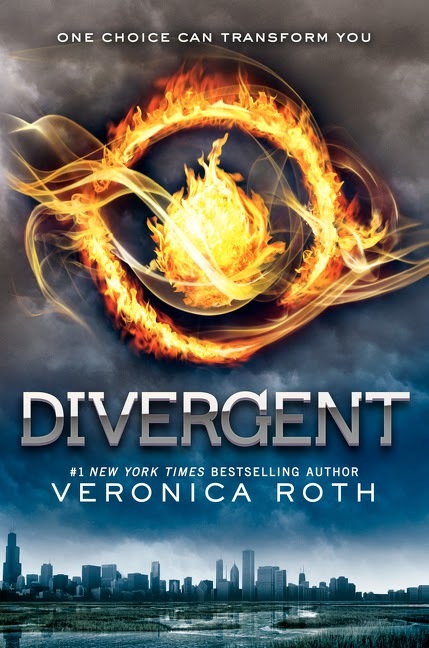 She then decides to leave her family, changes her name to Tris and follows the path of the Dauntless. Here she meets new friends, new enemies and a new love. I found the story quite captivating, often questioning traits of the human race alongside questioning morality. Fast paced and very interesting. Have you seen the movie?